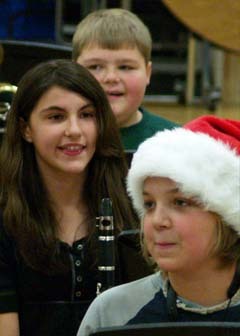 Yesterday, Dec. 17, 2008, we had a band concert. We played three songs. 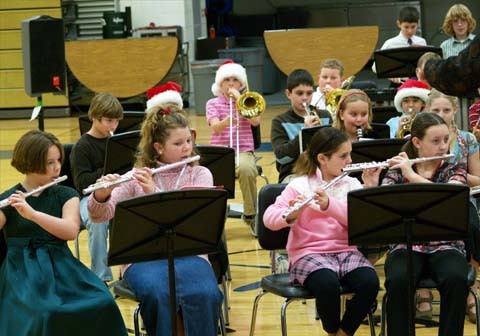 They were Hot Cross Buns and Jingle Bells Short and Normal. 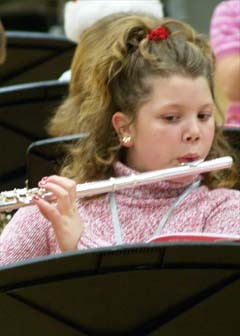 I played the flute. I was mad because it would not let me play an F. Yet I had fun. 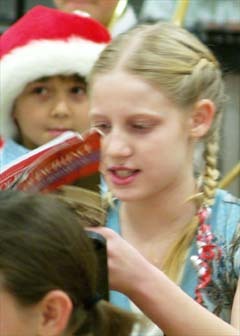 ~Courtney L.
Wednesday we had a great band concert. I kind of messed up on a song, but that was fun. Last night we had our first Band Concert and it was great. It was fun last night. 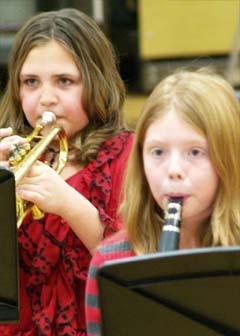 At the band concert we played four songs. Mrs. Joseph said that we were the stars of the show. I loved it. I wasn't nervous, but a lot of people were. A lot of my family came to watch. It was a great experience and it was fun. 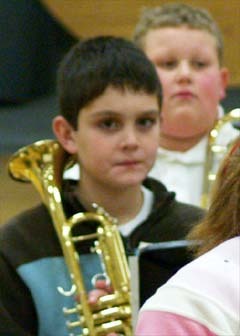 I loved the Band Concert. It was Awesome. I was a little sad, but had fun. I messed up on Jingle Bells, but I thought I did pretty good. I had an awesome time. 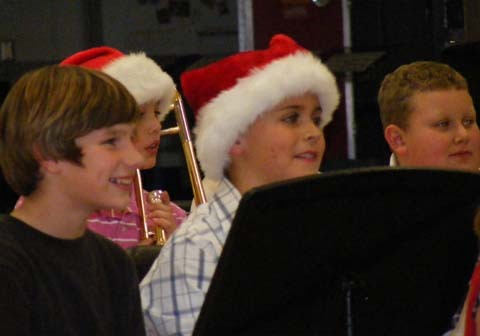 On December 17th, 2008 we had a band concert. 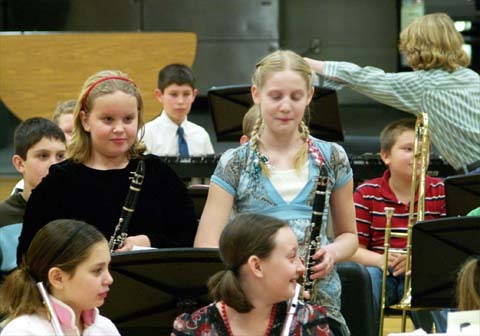 I played the clarinet. There were a lot of people there. 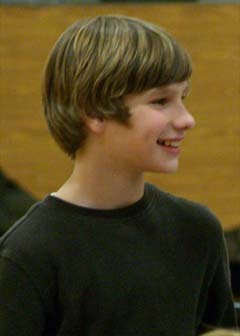 The band concert was fun. 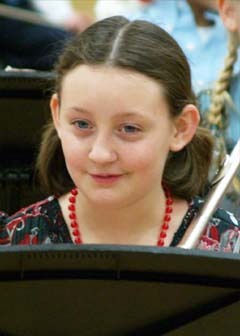 ~Jessica We practiced for about 15 minutes before the concert. We played Down by the Station and three other songs. Then we packed out stuff and went to our parents. It was a fun night! The band concert was cool. 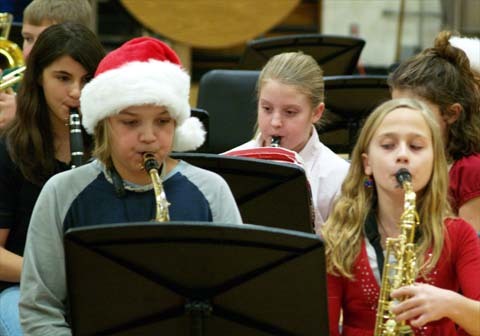 The high school and middle school band played with us. We played four songs. It was fun. 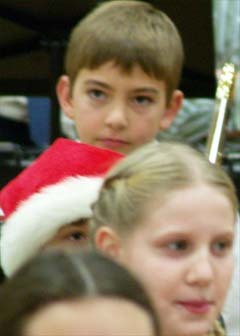 ~Spencer Our longest song was Jingle Bells. 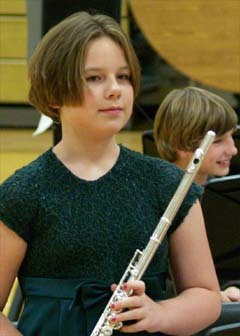 I play the flute. 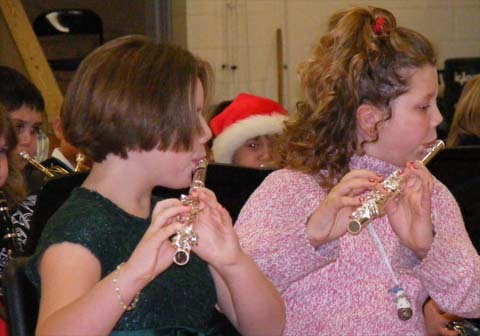 When we got done I grabbed a candy cane and put my flute away. After that I got to see Hunter Exo's new baby brother Zeke. The concert was fun. I had a good time with my friends. 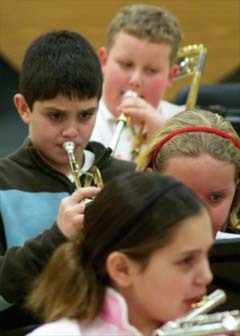 Wednesday my class and the other 5th grade class had a band concert. 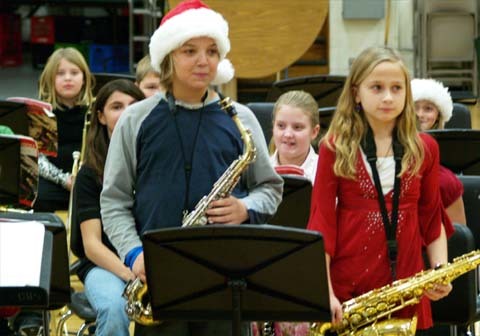 This was our first year in band. 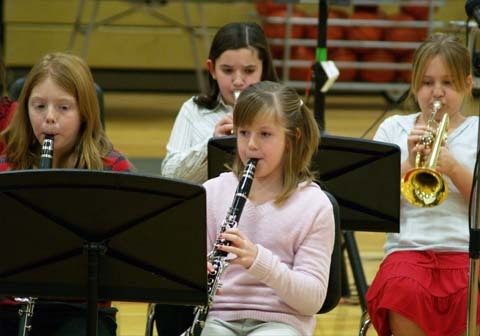 I played the clarinet with my best friend Mackenzie. It was so much fun. 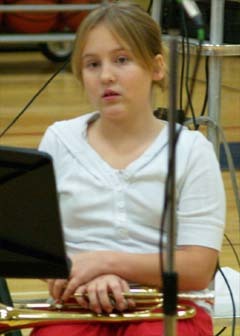 ~Rhianan The band concert was fun! 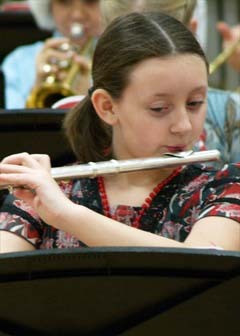 I played the Flute. It was one hour long. It was Fifth grade through High school. We got a candy cane often. We played really well. 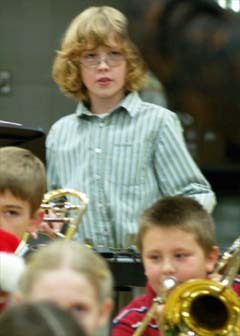 Our first band concert was really scary. We played four songs. 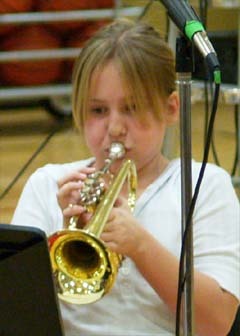 I played the trumpet. 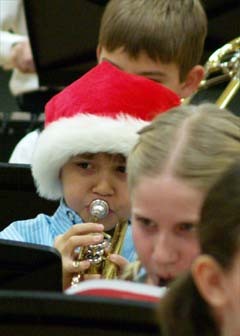 We had just learned Jingle Bells the same day of the concert. I really like band. 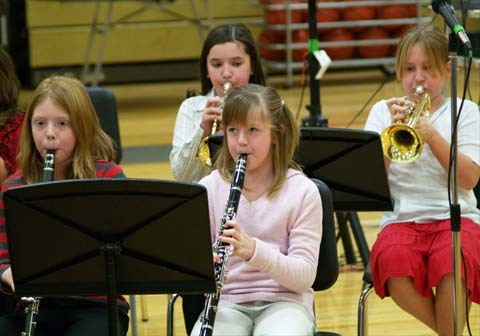 Hot Cross buns was the easiest song we played. I'm glad I'm in band. 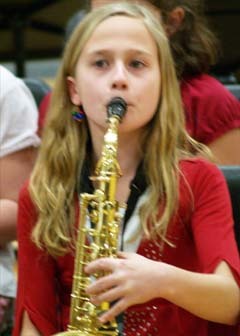 ~Alyssan I play the saxophone. 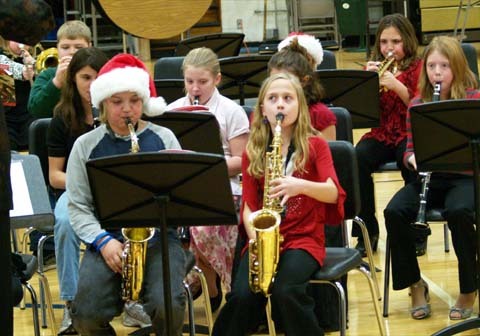 It is a lot of fun to play the saxophone. Band is a lot of fun. 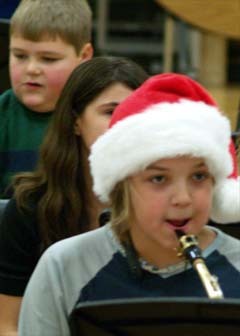 We played some Christmas songs too. It was a lot of fun. 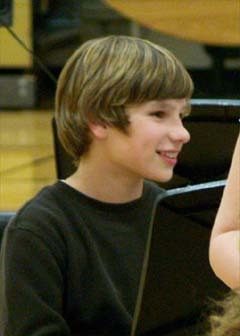 The band concert was so fun. 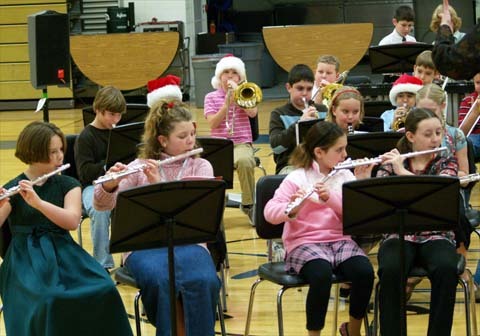 First we played, then the middle school played, then the high school played. I loved the concert. ~Kim Yesterday I had a band concert. I'm percussion. It is an awesome thing to play. I had some fun. 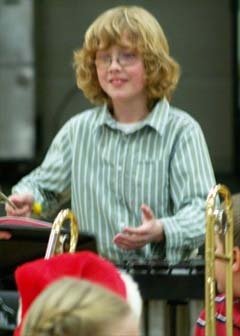 The band concert was a lot of fun. 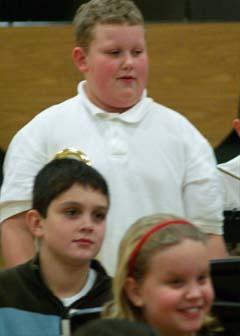 My favorite song was Hot Cross Buns. We got candy. 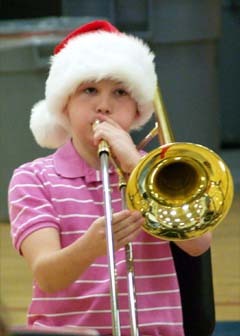 I played the Trombone. 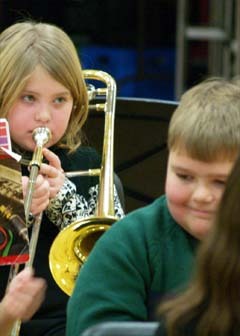 Today we had a band concert at 7:00 pm. 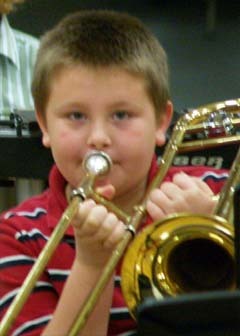 I played the trombone. When I got there I went to my room to practice. Then we went to the stage and played. We played four songs. We learned Jingle Bells in one day. We did pretty good. I had a good time at the concert. ~Jon We played four different songs. 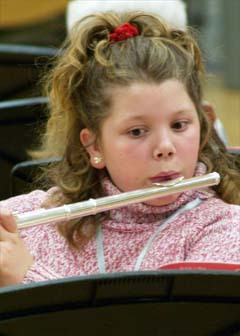 Our first one was Hot Cross Buns. Then we played Au Claire De La Lune. The next one was Down by the Station. 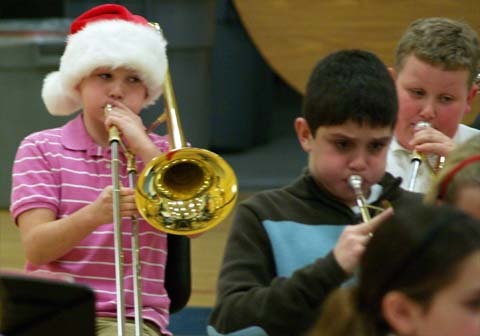 Then we played Jingle Bells. 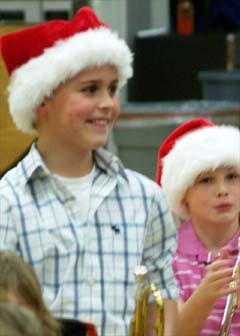 Then we got candy canes at the end of the band concert. I loved last night's concert. Last night I played my best. I helped some people because they did not have their books. ~no name on paper Yesterday we had a fun band concert. 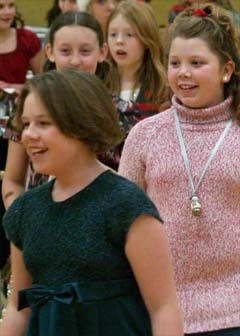 It was fifth grade through high school. It was an hour long. I love band.